Broadway's first hip-hop jukebox musical, Holler If Ya Hear Me – which was based on the poetry and music of Tupac Shakur and featured more than 20 of the prolific rapper's songs – will close on July 20th. The musical had a lifespan of less than two months and 55 performances, including previews, according to The Associated Press. 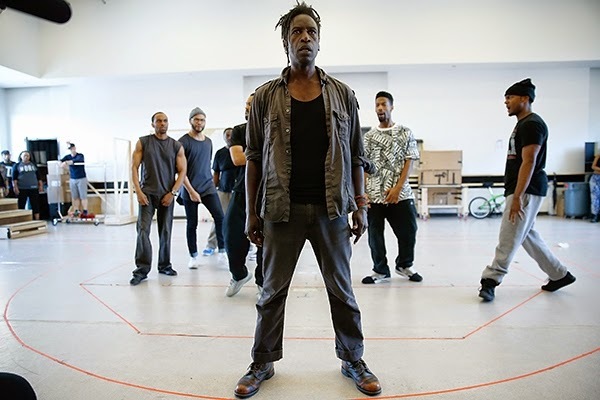 In a statement, producer Eric L. Gold blamed the "financial burdens of Broadway" for the need to cease production, which starred Saul Williams as an ex-con trying to stay out of trouble and Christopher Jackson as his friend who has become embroiled in a violent lifestyle that begs for Williams' intervention. Shakur's mother, Afeni, was also a producer. AP reports that the production's financial problems began as soon as it debuted. Last week, it drew in a meager $155,000 in ticket sales, compared to the potential $917,000 a sell-out would bring in, accounting for less than 17 percent of its projected goal. Deep discounting to fill the theater has forced it to become Broadway's best deal, with an average ticket price of $38.44. A Rolling Stone review of the production said that the performances range from the disconcerting (a duet version of "Me Against the World") to the triumphant, with Williams' delivering a "stunning, note-perfect swell of rage to 'Holler If Ya Hear Me.'" While the idea of hearing Shakur's music sung as well as rapped might sound odd on paper, it made sense in the post-Drake, post-Future world. Three songs from the musical, including "Holler if Ya Hear Me," "California Love" and "Unconditional Love," are still available for streaming.